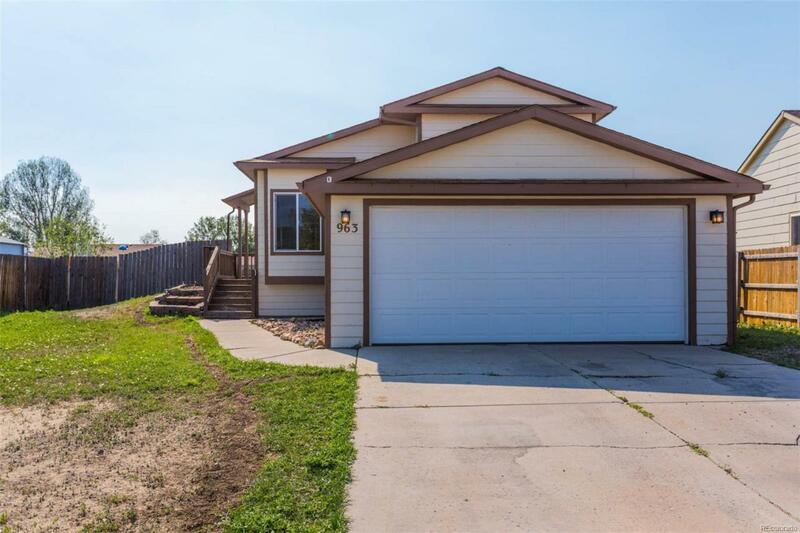 This lovely tri-level home is located close by to parks, schools, and I-25. As you enter the home the Living Room is on the right it has laminate wood flooring, a ceiling fan, and large windows allowing natural light to fill the room. The Eat-in Kitchen features stainless steel appliances, ceramic tile flooring, ample cabinet space, and solid surface countertops with a tile backsplash. The spacious Master Bedroom is on the Upper level it has a large closet, ceiling fan, and a window that allows natural light in to fill the room. The Upper level has an additional Bedroom and a Full Bath. The Family Room is on the Lower level, it has laminate wood flooring, a walk-out, and a wood-burning fireplace with tile surround and a wood mantle. There is an additional bedroom and a 3/4 Bath on the Lower level as well. The Spacious fenced Backyard has a patio and tons of potential.